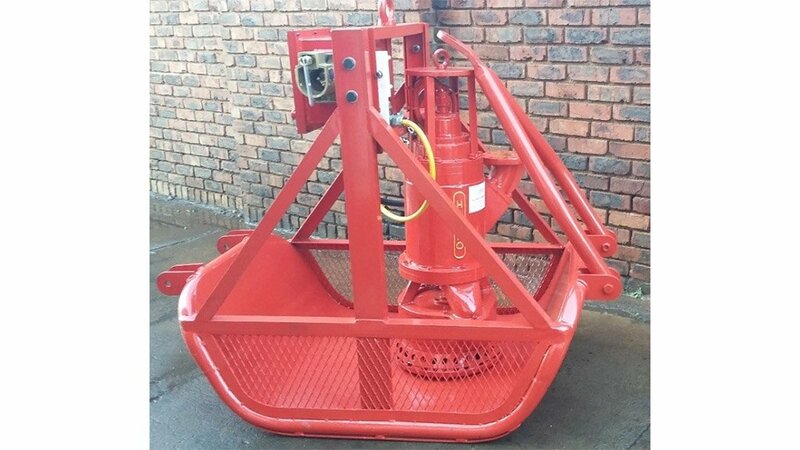 The HIPPO flameproof, medium/high voltage, submersible slurry pump manufactured by heavy-duty slurry pump manufacturer Hazleton Pumps is regarded as the world leader when pumping acidic liquids containing solids at high heads and high volumes and has been exported to the major mining countries. Owing to US President Donald Trump insisting that US international companies, such as General Motors, bring their manufacturing activities back to the US, it is expected that a shortage of electrical power will be experienced. Several US coal mines have been closed for the last 20 years, most of which are presently flooded. To evaluate the quality of the coal at these mines, all the water will have to be pumped out before any of these closed coal mines can be brought back into production to meet the increased demand for power. After the mines are evaluated and the coal is graded, the mines will be able to supply coal to the power stations located closest to these mines. Even though the power stations were mothballed and/or decommissioned, they are mostly in a good condition and could be reopened within a period of three years. At present, there are 830 coal mines to be evaluated and the potential exists to export pumps to a number of these coal mine. Several enquiries were received recently about the supply of flameproof submersible pumps that can operate at a duty of about 200 m where acidic liquids have to be pumped and where methane gas is present. Based on the successful operation of the flameproof pumps delivered to the Houston refineries and manufactured to comply with the IEC 60097/1: 2005 flameproof specifications, the HIPPO flameproof, medium voltage, submersible pump developed to pump heads of 300 m high is therefore able to supply pumps according to these US requirements. Coal mine water is usually contaminated with acid and the pumps required for these applications need to be manufactured from specialised materials such as duplex stainless steel, which is able to handle the erosion and corrosion caused by the acidic liquids, containing solids, being pumped. In areas where a tractor cannot be used to move the skid-mounted HippoFlameproof submersible slurry pump system, a trolley-mounted flameproof submersible slurry pump system could be provided which can be moved around by hand. Moreover, owing to the numerous enquiries received from the US, Hazleton Pumps will have a permanent representative from South Africa situated in Niagara to service both the US and Canadian markets. To increase the reliability of the Hippo pumps, specific safety controls have been designed to protect the pump’s electrical stator winding from ever burning out. The elimination of an electrical flash inside the pump enclosure, when using medium/high voltage equipment, such as submersible pumps, in areas where flammable gases might be present, is ensured by installing the essential additional protection as required and developed by Hazleton Pumps. The pump enclosure will be under vacuum pressure, monitored by means of a pressure transmitter. In the event of the enclosure leaking, the vacuum created will be lost and the pressure transmitter will cause an indicator light to be activated to confirm the loss of vacuum. The enclosure could then be isolated, resealed, re-vacuumed and returned to operation. This invention has been patented as well as trademarked. This device can also be fitted to all enclosures and equipment such as transformers and similar equipment. If such equipment should fail, it could have an impact on safety – in particular where it is installed in an explosive environment such as underground in coal mines where methane gas is present. By preventing the electric flash from igniting the atmosphere in the enclosure, the damage that could be caused will be contained and no major explosion will occur. An example of the danger when a transformer explodes was illustrated when two employees at the Tenke copper mine, in the Democratic Republic of Congo, suffered injuries in an electrical fire at the weekend of July 15 and 16, 2017, when the mine experienced an electrical short in a single transformer that supplies the semiautogenous grinding mill at the Kwatebala plant, resulting in a localised fire. 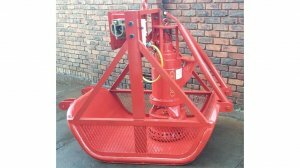 As a result of the success of the safety controls used on the pumps, all Hippo submersible slurry pumps are now fitted as standard with these safety controls. To protect flameproof submersible pumps, it is also essential to have a flameproof electrical control panel installed as close as possible to the pump. The control panel needs to firstly have overload protection, secondly, a sensing device to measure when the mechanical seals have failed and, thirdly, a relay suited to the thermistors to prevent the electrical winding overheating. Besides being the world’s safest flameproof submersible pump, the total cost of ownership is beneficial for the client. Should the electrical stator winding fail and require rewinding, the total cost of the repair makes up at least 40% of the total cost of a new pump, excluding the removal and installation costs. With the safety controls being built into the electrical control panel as well as the pump, as supplied by Hazleton Pumps, the company will guarantee that, when the pump fails, the winding will not have to be rewound. The guarantee will only apply if the pump is operated using the appropriate control panel and should all the controls be in place and connected, Hazleton Pumps will carry the costs of rewinding the electric stator. The main reason for the failure on the electric winding of submersible pumps is owing to the pumps running dry which causes the electrical winding to overheat and burn out. One of the unique features of the pumps is that these pumps can run-dry indefinitely.